Gold Dolphin, it’s the Dolphin with the Midas touch! 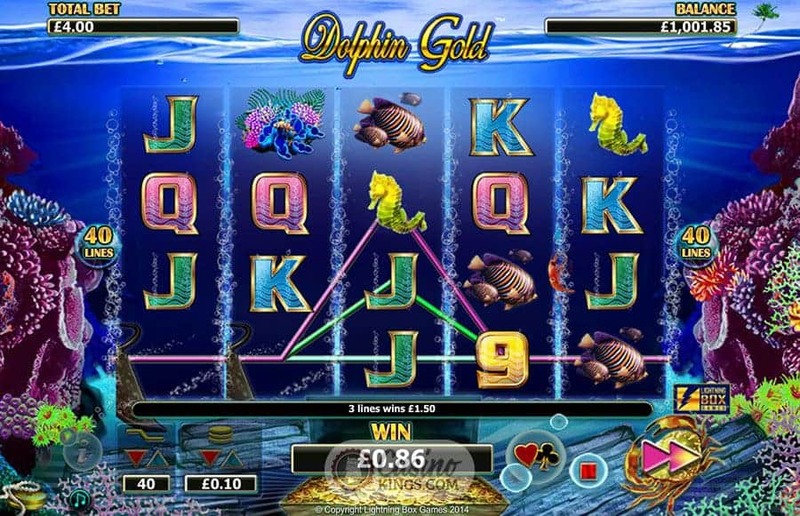 Not many people heard Shirley Bassey’s original, later altered to fit the famous James Bond theme, but Lightening Box have uncovered it and taken it as inspiration for tthe Dolphin Gold Slot a five reel, 40 payline effort that takes us under the waves with a splash. And not a villain in sight. 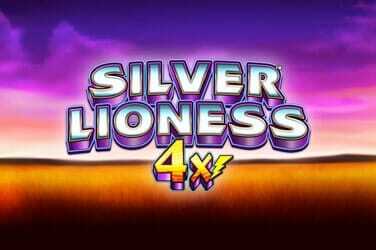 Waves lap deliciously and bubbles pop delightfully as we launch the game, and we can see right from the off the level of development detail Lightening Box has put into Dolphin Gold. The artwork and sound score are sumptuous, with some of the most beautiful creatures of the sea diving in as the game’s high paying symbols. The magnificent Manta Ray takes his place as the game’s top-paying symbol, with a Sea Turtle, shoal of striped Fish, bright Coral and Seahorse backing him up. Moist-looking 9s through Kings make up the numbers as the game’s low-paying symbols sleeping with the fishes. 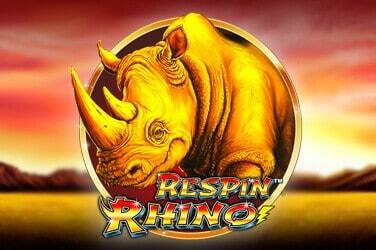 The Blue Dolphin of our base game doubles as not only our Wild, but also our Scatter. 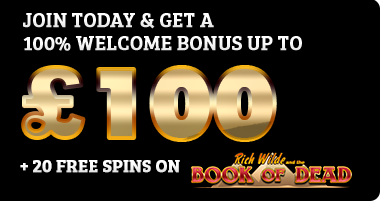 As we said, the Blue Dolphin Wilds can appear on reels 2, 3 and 4, and if we land six or more we launch the Free Games bonus round. 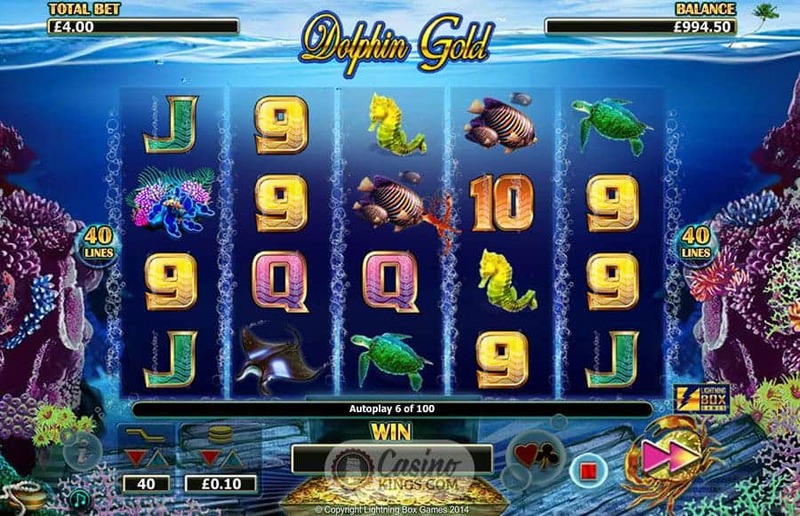 Landing six Dolphin Scatters wins us three free games, while bagging 12 of these sea-bound mischief makers scoops us a whopping 21 free games, with various combinations in between. But what about the Gold Dolphin of the game’s title? Okay, okay! 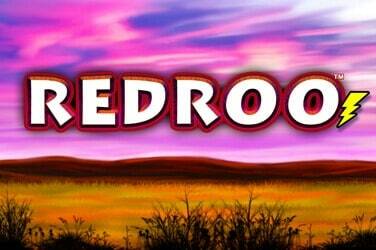 Hold your bikini on! 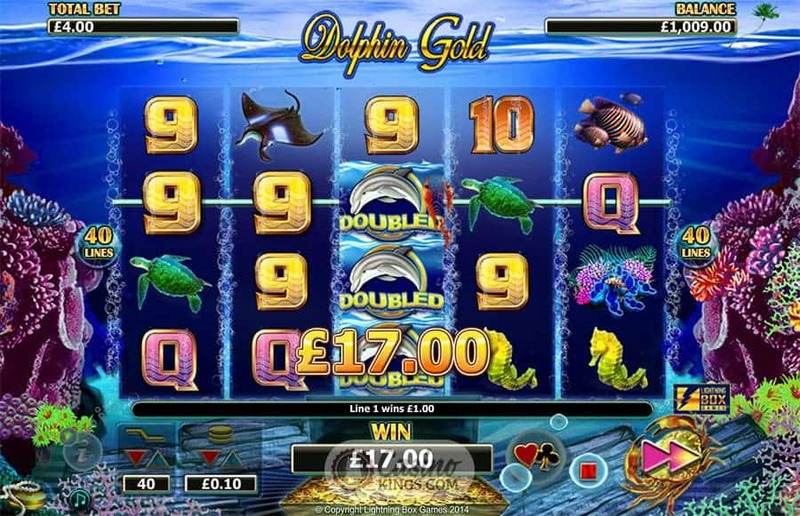 Stacks of Wild Gold Dolphins appear on reels 2, 3, 4 and 5 during the bonus feature, and while the bonus feature can be re-triggered it is important to know that the Gold Dolphin doesn’t substitute for the Blue Dolphin. I mean, they don’t even look the same. 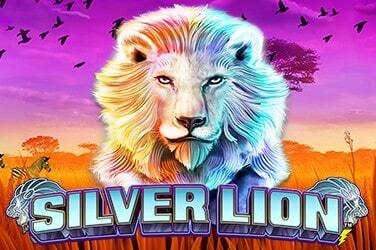 With 40 paylines and stacked Blue Dolphin Wilds there is plenty of opportunity to rack up the wins in Dolphin Gold. But it is the Gold Dolphins that good old Shirley was crooning about all those years ago that take us on a real underwater adventure. All that is gold does not glitter? Well, it jolly well does in Dolphin Gold!